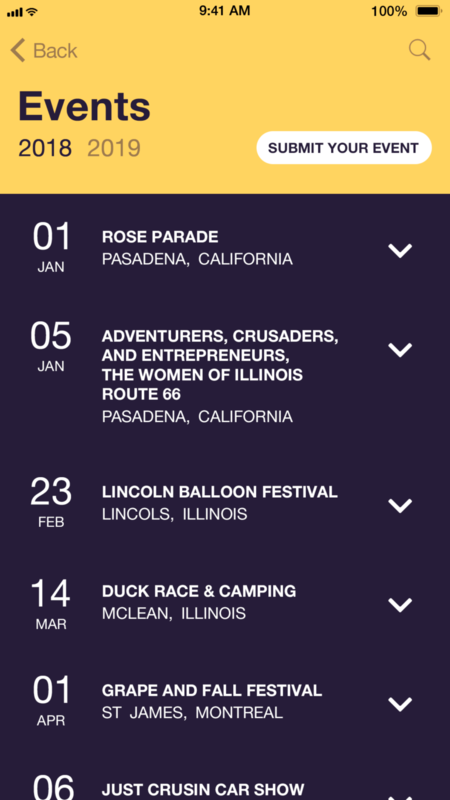 We are introducing you to our application, with which you will discover all the astonishing sites on the way from Chicago to Santa Monica and/or back. 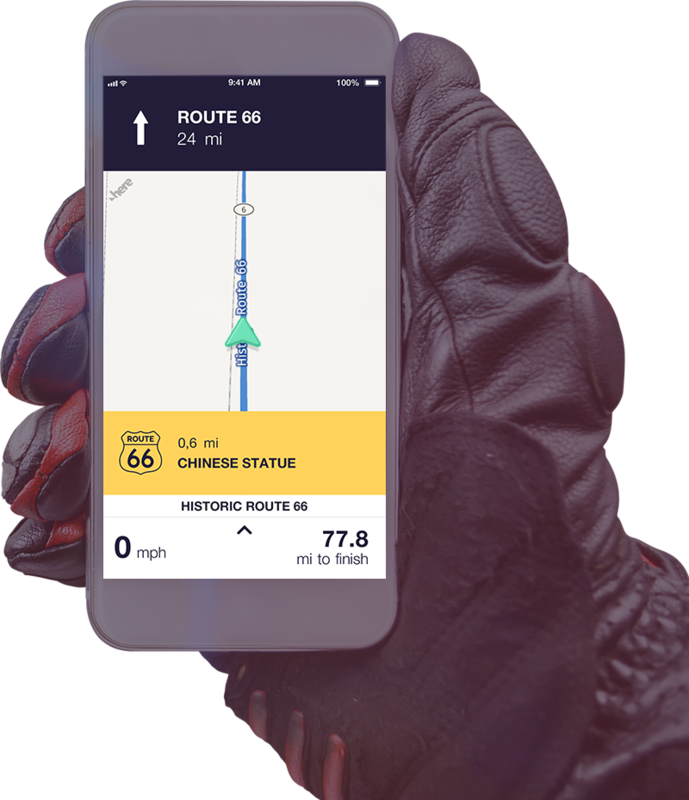 You will find on our app all that you need to travel without worries, always find legendary sections of Route 66 and to be able to enjoy your trip to the fullest. We are proud members of a community of people who deeply care about travelling and promoting all the fabulous features of the famous Route 66 and the people and business community who make it such an amazing experience. Did you get into trouble on Route 66? Call for help directly from the application! You also control your speed in navigation. If you exceed maximum allowed speed, app will alert you by color change. Don’t trouble yourself with maps and/or turnings, just enjoy your trip. Be an easy rider! 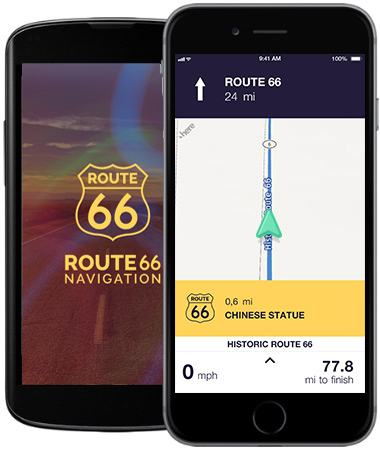 Watch the video and find out, how application Route 66 Navigation works. 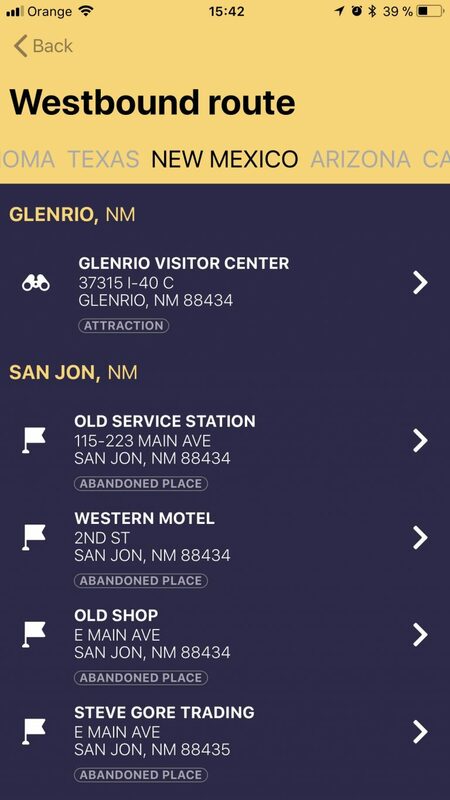 How can I get my Route 66 business on your app? Our goal is to help all businesses related to Route 66, so you are more than welcome. It's easy, but we need your cooperation. Please, send us good quality photo of your business, but use your own pictures, or images with free copyright for use in our app. Also we need information like: NAME OF BUSINESS, STREET AND NUMBER, CITY, STATE, PHONE, URL, DESCRIPTION, OPENING HOURS, (c) TEXT (name of author), (c) IMAGE (name of author). Please, remember, that description must be written for travelers, just describe what about your business is and avoid useless marketing phrases, please. In the interest of quality of service for travelers, we reserve the right to shorten or modify your text, or in certain cases to disallow the posting. Does the app work outside of the USA? Yes and no. 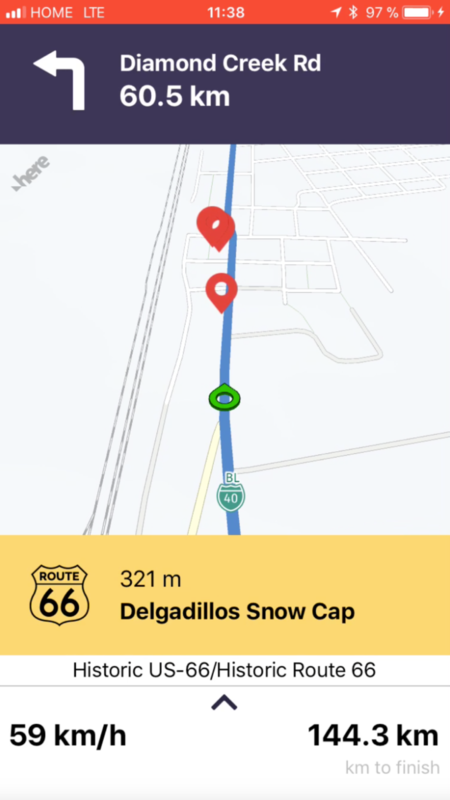 The whole Route 66 Navigation app content features are working properly wherever an internet connection is available. However, the functions associated with your location do not work in the navigation part of the app outside of the USA. 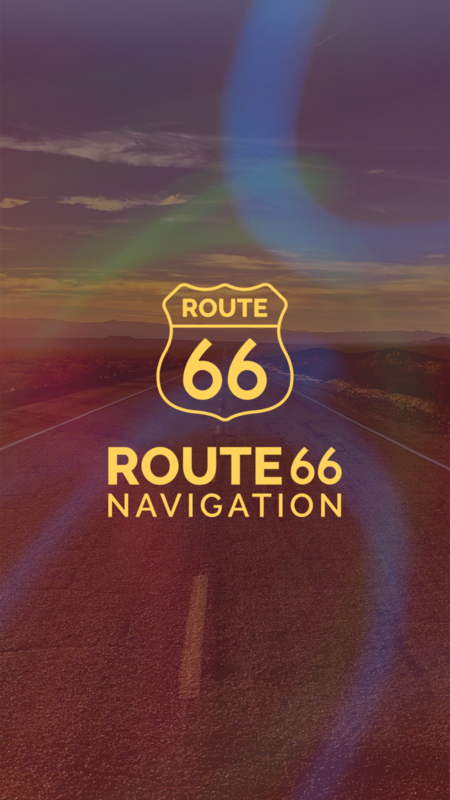 Conversely, if you manually configure the route from point A to point B on Route 66, you can prepare and save the itinerary of your entire Route 66 trip outside of the USA. Can I use navigation in locations other than Route 66? We've worked hard to bring you an app with top-quality content. 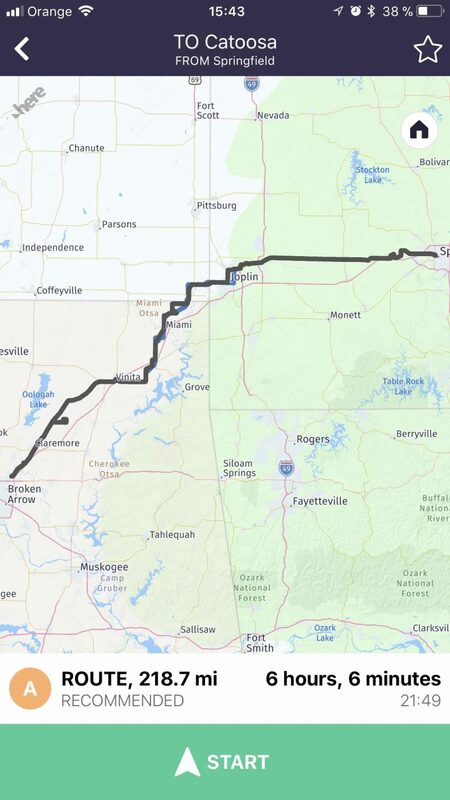 We also went through the entire Route 66 twice to make sure that the selected routes are set up correctly. However, an error may occur. 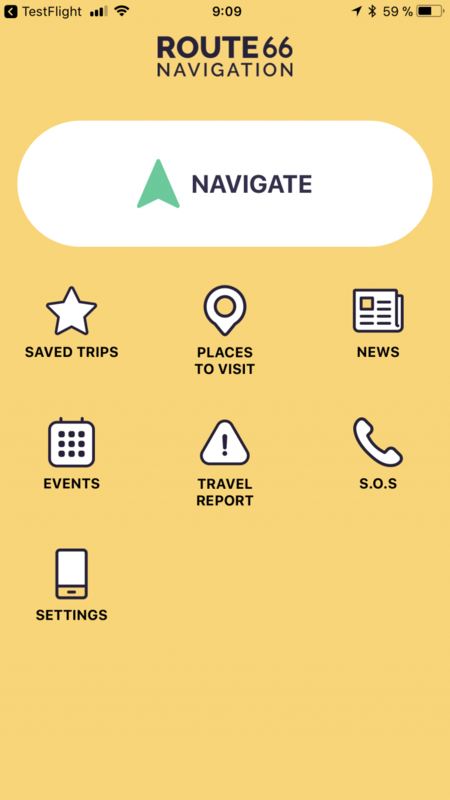 Also, in the name of other travelers, we will be grateful for any feedback that will help us improve the features, content, or services that the app brings. Please write to us, we pay attention to every message. 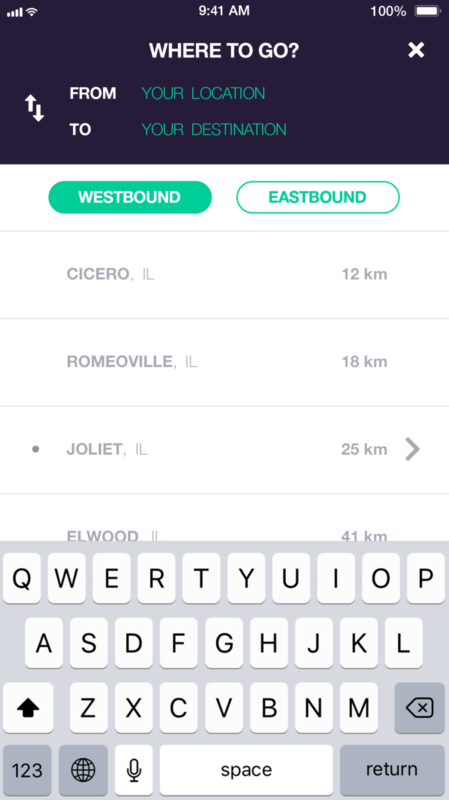 Will you add new features to your app? Of course! 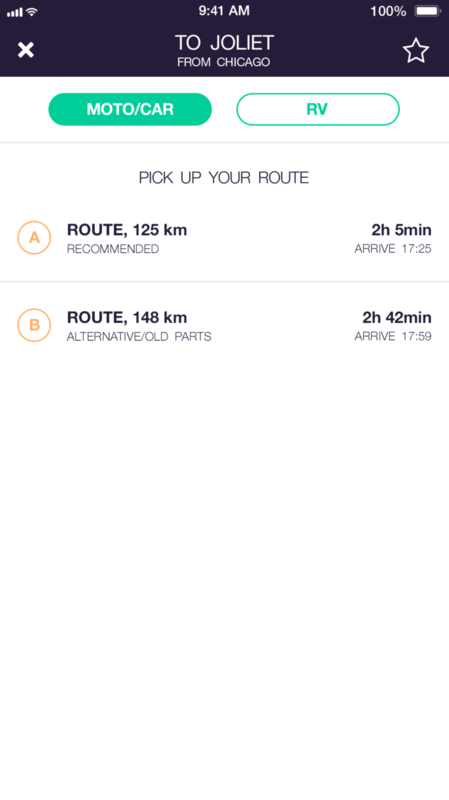 We believe that thanks to the great interest of Route 66 travelers, we will be able to continually improve and expand our application with new features to bring all travelers the best experience during their trip on Route 66.